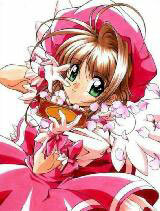 You are going to Watch Cardcaptor Sakura Episode 34 English dubbed online free episodes with HQ / high quality. Stream Anime Cardcaptor Sakura Episode 34 Online English dub Sakura, Yukito, and the Midday Moon, Sakura and Yukito participate as a two people team in the quiz tournament. As they get to the 10th question which is the last, Ms. Mizuki warns them about the full moon tonight. They go in the forest and then suddenly Sakura becomes dazed and begins to fall off the cliff. Yukito dashes to Sakura and covers her while his leg becomes injured.